GAME UX SUMMIT is the first professional UX event dedicated to the video game industry. It brings together renowned speakers from various Game UX-related disciplines. We are still looking for a confirmed host for the 2019 edition of the GAME UX SUMMIT. If you are interested, please contact Celia Hodent via this webform. Thanks! Want to have some news about the next GAME UX SUMMIT in Vancouver? Sign up to our newsletter! The latest GAME UX SUMMIT took place in Vancouver (Canada) on September 26-27. Sign up to our newsletter to stay informed! Celia Hodent is recognized as a leader in the application of user experience and psychology in video game design and in the development of UX strategy and process in game studios. She is also the founder and curator of the Game UX Summit, which launched in Durham, NC, in May of 2016, hosted by Epic Games. At EA, we think Player First. In other words, we think user-centered design. We invite all game user experience professionals to join us as we host the Game UX Summit 2018 to continue fostering the game industry and its growth towards UX. We welcome you to come and share the latest trends on creating an amazing player experience, discuss current best practices, and collaborate on how to keep raising the bar on creating amazing UX for the world’s players. Looking forward to seeing you all at the next event! Don’t miss any updates, sign up for our Newsletter about our Next Events! Celia Hodent is recognized as a leader in the application of user experience (UX) and cognitive science in the game industry. Celia holds a PhD in psychology and has over ten years of experience in the development of UX strategy and processes in video game studios. Through her work at Ubisoft (e.g. 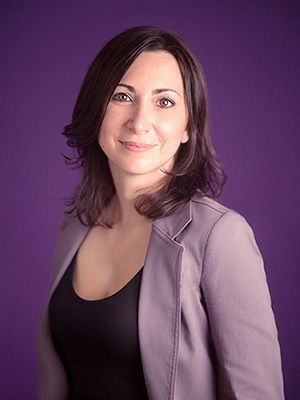 Rainbow 6 franchise), LucasArts (Star Wars: 1313), and as Director of UX at Epic Games (Fortnite), she has contributed to many projects across multiple platforms, from PC to consoles, mobiles, and VR. Celia is also the founder and chair of the Game UX Summit, advisor for the GDC UX Summit, and author of The Gamer’s Brain: How Neuroscience and UX can Impact Video Game Design. She currently works as an independent consultant, helping studios increase the likelihood of their games to be engaging and successful.